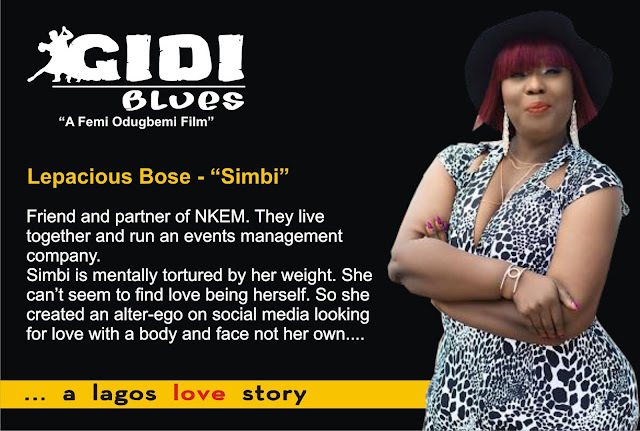 Gidi Blues is a feature film project produced by CUT24 Productions featuring a stellar cast and crew of the best and brightest of Nollywood. It is an unusual love story in a Lagos-state-of-mind! It is high-quality entertainment with humour, music, drama and suspense. Filmed in iconic Lagos locations like Idumota market, Makoko, Victoria Island, Isale Eko, Lekki and Freedom Park, Broad Street, the movie showcases Lagos city and the unique energy of its people. “Las GIDI” is the affectionate nickname of this unpredictable city where anything can happen…and it often does. It is produced and directed by award-winning filmmaker, Femi Odugbemi (founding producer of Tinsel and 3-time Head Judge of the Africa Magic Viewer’s Choice Awards). Gidi Blues also seeks to inspire young people to give back through community volunteer work. Makoko, the fishing slum under the 3rd Mainland bridge, is where our lead characters find meaning in their lives as they volunteer as teachers and also start a book club for the disadvantaged children of the community. The film is high-quality entertainment featuring award-winning superstars including: Banky W, Gideon Okeke, Hauwa Allahbura, Lepacious Bose, Daniel Lloyd, Tina Mba, Bukky Wright and singer Aduke! Each week, the producers plan to introduce a set of characters whose roles are intertwined and stories captivating, follow the Gidi Blues story to get more on this amazing film, coming soon to a theatre near you. Introducing Simbi and Jaiye, played by Lepacious Bose and Daniel Lloyd, find out what they have to say about Gidi Blues and get to meet their characters.